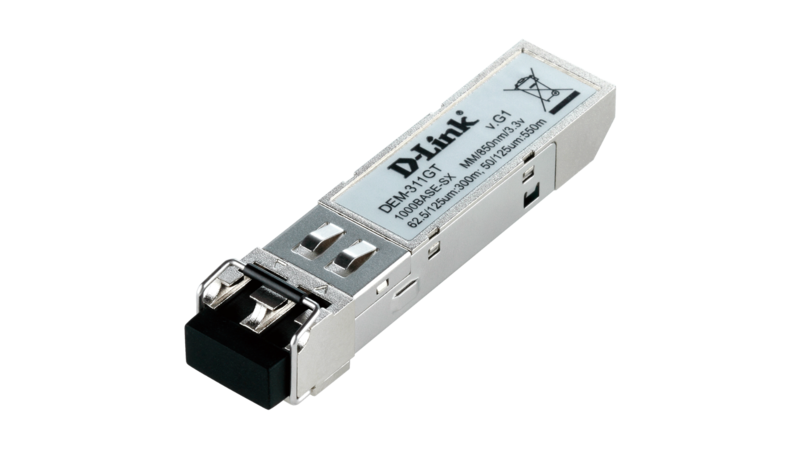 The D-Link® xStack™ DES-3526 is a high-performance, managed, stackable Layer 2 switch that provides an ideal solution for workgroups and departments. D-Link Single IP Management (SIM) allows to cluster up a virtual stack of up to 32 DES-3526 switches dispersed switches with fewer distance limitation through a single IP address. The clustering environment spans buildings, making it perfect for businesses that require multiple building deployment. The xStack switch also provides comprehensive security for edge access such as Access Control List, DHCP server screening, and DoS attack prevention. 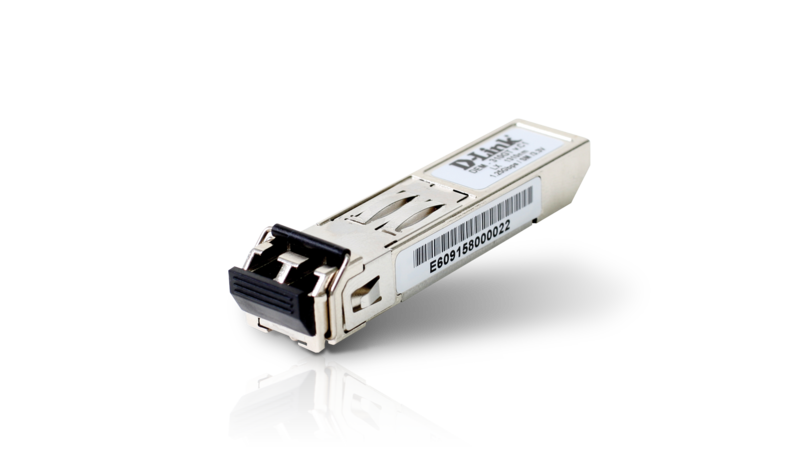 The DES-3526 switch forms an Ethernet workgroup stack with flexible Gigabit uplinks. Traffic runs along the units in this virtual stack through the full-duplex Gigabit interfaces and your usual network wires, dispensing of the costly and cumbersome stacking cables. Without any stacking cable, cable distance restrictions and physical stacking limitations, your stack can include units that are located anywhere on the network, minimizing the impact of any single point of failure. The DES-3526 switch simplifies and speeds up your management tasks, as multiple switches can be configured, monitored and maintained from any workstation running a web browser through one unique IP address. The stack is managed as a single object, with all units identified by a single IP address. You can see a Tree View of the members of the stack and a network topology showing the locations of the units and their link information. This simple yet powerful web-based management eliminates the need for you to install expensive SNMP network management software. The DES-3526 provides a complete set of security features for connectivity and access control. These include Access Control Lists (ACLs) based on MAC address, switch port, IP address and/or TCP/UDP port numbers, 802.1X user authentication and MAC address control. The DES-3500 also provides central management for administration access via TACACS+ and RADIUS. In addition, when implemented in conjunction with a D-Link NetDefend firewall, this switch -as a stand-alone or in a stack- is able to automatically quarantine any host displaying abnormal behaviour by stopping the port connected to it. This mechanism, D-Link's ZoneDefense, provides proactive network security by preventing viruses from spreading through the network and thwarting harmful network attacks. Without a NetDefend firewall, you can still rely on the Safeguard Engine™ feature to protect the switch against traffic flooding caused by virus/worm outbreaks*. 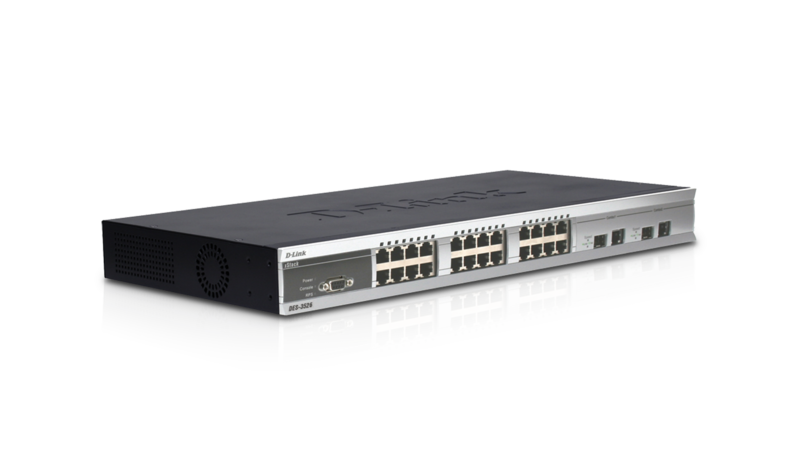 The DES-3526 switch provides extensive VLAN support including GARP/GVRP, 802.1Q and asymmetric VLAN to enhance network security and performance. Bandwidth control allows you to set a traffic limit for each port to control the traffic volume from the edge of the network. 802.1w Rapid Spanning Tree with fast convergence of less than 15 seconds and a redundant power option increase the reliability and availability of your virtual stack. The DES-3500 series implements a robust set of multi-layer (L2, L3, L4) QoS/CoS features to ensure that critical network services like VoIP, ERP, Intranet and video conference are prioritized. Priority queues for 802.1p/TOS/DiffServ are supported, with classification and marking based on MAC SA/DA, IP SA/DA, and/or TCP/UDP port numbers.